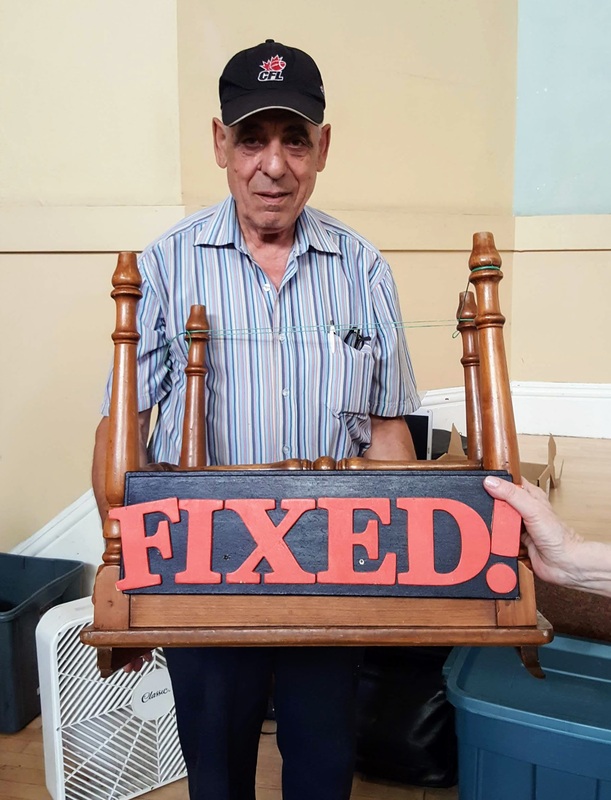 The Repair Café visited Trinity St. Paul’s Centre in the Bloor and Spadina neighbourhood on Saturday, August 25. We had a terrific turnout of volunteers and visitors for this latest full café. It was great to see a lot of energy in the room. 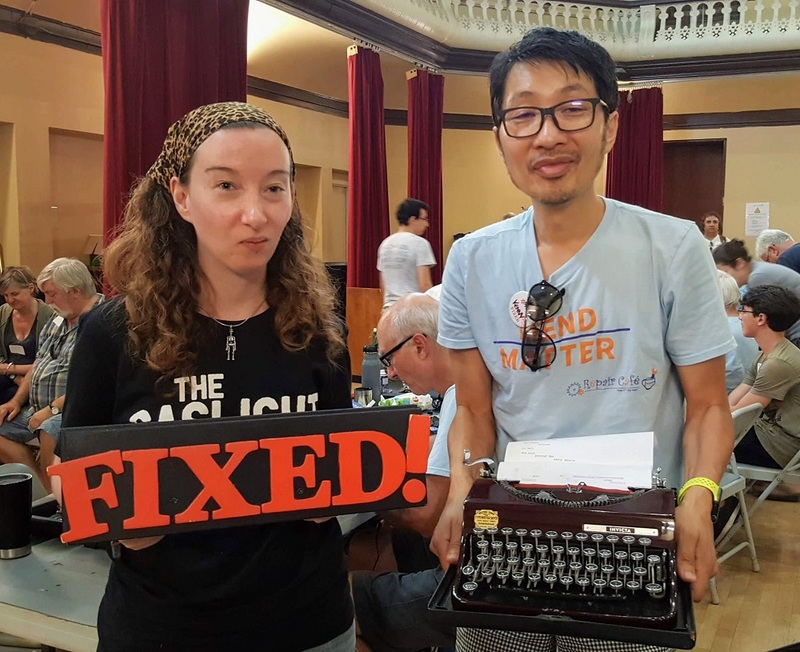 There were different types of household fixing ranging from simple and ordinary items (a pair of shoes, an umbrella) to the crafted (a coffee table) all the way to the intricate and complex (jewellery, a clock, a typewriter). Below are some pictures of the diverse repairs. 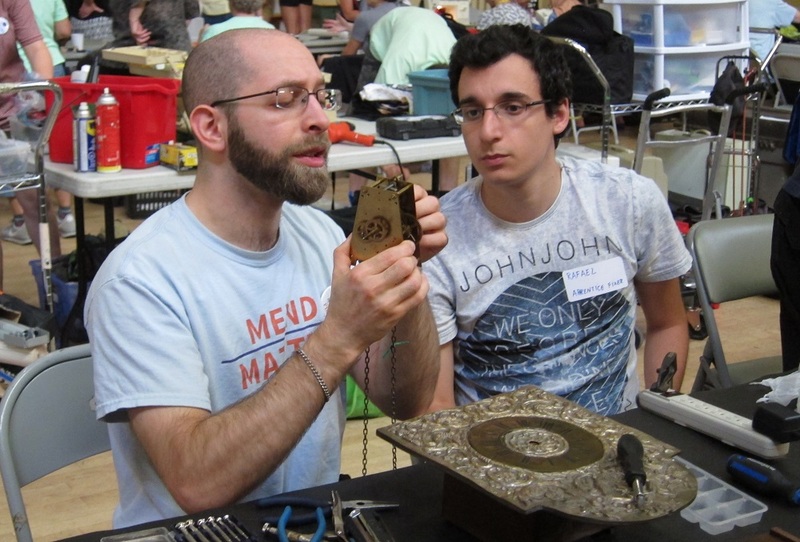 We are proud of the skills our fixers have in handling such a range of broken items. 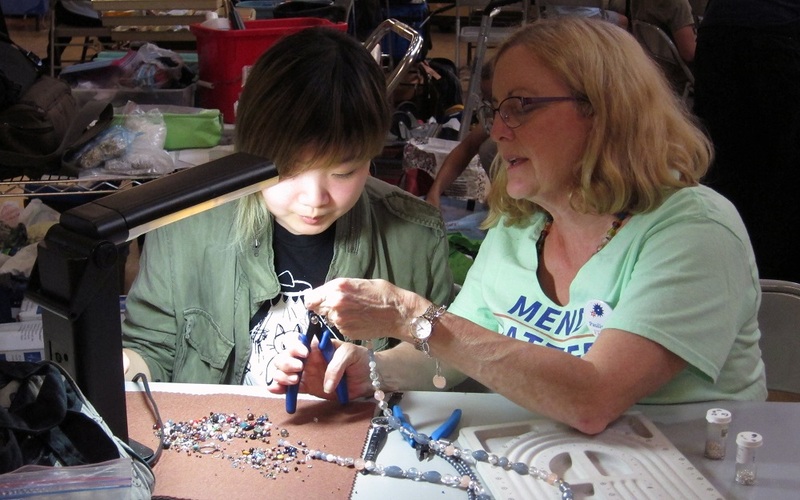 This month, we created a Repair Café patch that we think of as a kind of little badge of honor for our volunteers and the pride they take in their work. 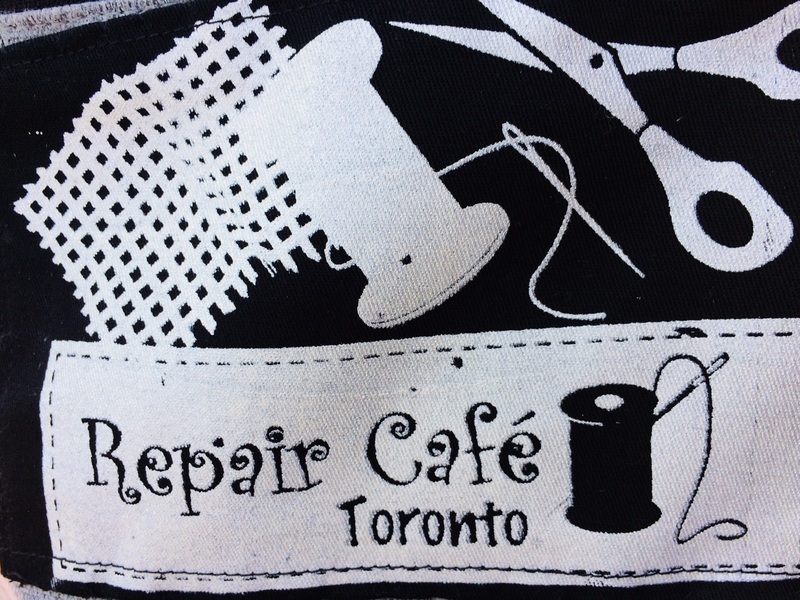 The cloth patch with a Repair Café sewing symbol was created by Kingi Carpenter who runs a silk screen studio in Toronto named Peach Beserk. 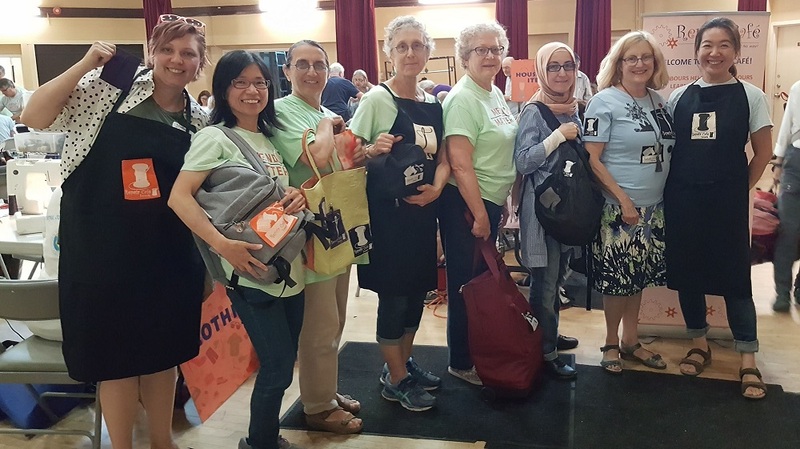 The patch was shared among our sewing and jewellery fixers as well as our general volunteers, who have attached it to their apron, T-shirt, handbag, lunch bag and knapsack! 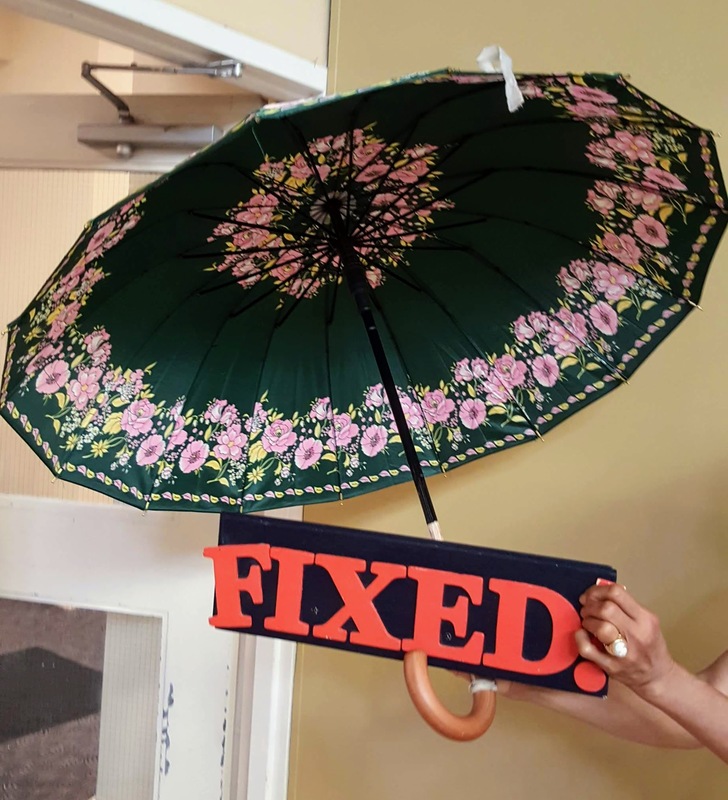 If you missed our last Repair Café, the next full Repair Café will be held at Fairview Library on Saturday, September 29! For details, please visit our Upcoming Events page. 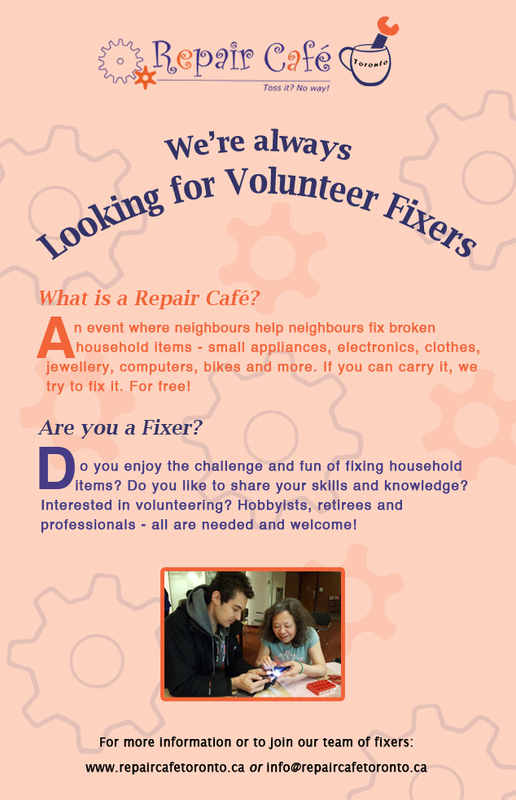 Hope to see you at our next Repair Café!